Arholma Nord - wild nature and challenging activities! On the island Arholmas north point is the conference and activity center Arholma Nord . Here you will meet with the sea, the rugged rocks and the horizon as the nearest neighbors. In the sea storm there is peace and here you can undisturbed create successful meetings. Our activities focus on nature and offer everything from cozy kayaking to Zipline with one-legged adrenaline boost. With us it is easy to have a well deserved break in the conference and enjoy the outer archipelago. GPS puzzles, Archery Adventure, 120 minutes and Walkthroughabout are some of the team strengths activities you can book with us. Here is also an old defense facility from the Cold War that invites you to discover very much. 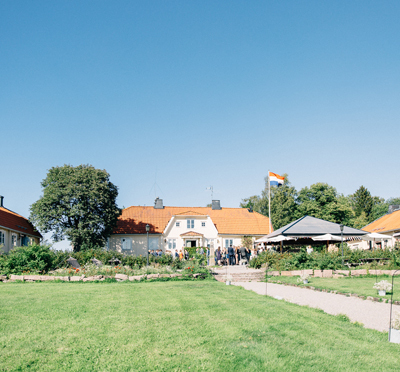 We recommend booking a guided tour of Battery Arholma which has an amazing history. The accommodation at Arholma Nord is spread out in the sea bay, Riddarviken, where you live in cozy rooms with nature in the knot. The accommodation is divided into four houses and in each house there are showers and toilets. Arhoma Nord has 23 rooms with a total of 49 beds. In the newly opened restaurant down to the water you can enjoy delicious food in a cozy setting, where you can sit outside and look out to the bay and the sea. The restaurant serves breakfast, coffee, lunch and dinner. The conference room Tjärven can hold 55 people in cinema and is equipped with WiFi, projector and flipchart and whiteboard. If you need a group room, Nåttarö can accommodate 25 people. Arholma Nord is open for conference from 1 May to 31 October. Have you been to Arholma Nord and want to give your own comments?